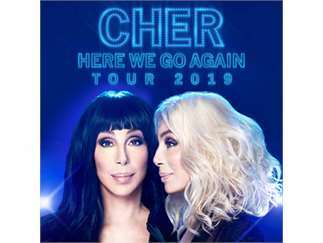 The Here We Go Again Tour is the seventh solo concert tour by singer-actress Cher in support of her twenty-sixth studio Album Dancing Queen. She will perform her classic hits, as well as some fresh material from her up coming album Dancing Queen. Some of the songs confirmed as part of the set list are: "Believe," "If I could Turn Back Time," "Strong Enough," "I Got You Babe," "Gypsy, Tramps & Thieves, and "I Found Someone."